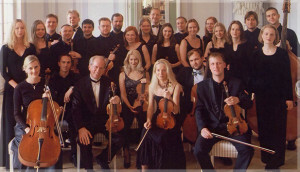 Violinist Gidon Kremer’s art has been celebrated since he first entered the Riga Music School at age 7. Winning the highest prizes in Latvia, among his rewards was his trip to the USSR to spend two years studying in Moscow with their most eminent violinist, David Oistrakh. Kremer went on to win more distinction, including 1st Prize in the Tchaikowsky International Competition, in 1970, at age 23. His performance on Feb. 2, 2014, in San Francisco, showed that there is even more depth and humanity to him than being one of the world’s great musicians. 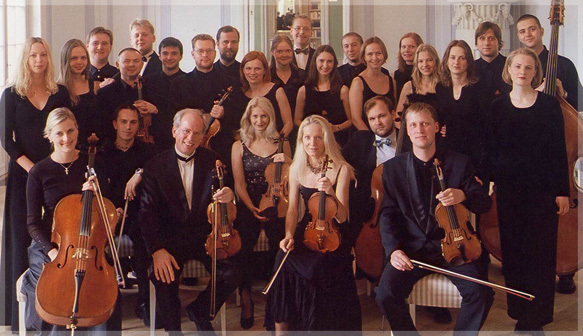 He performed as leader and soloist with the Kremerata Baltica, a chamber orchestra which he founded in 1997. 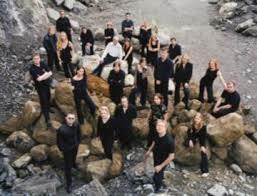 It is composed of young musicians from the Baltic nations (Latvia, Lithuania, Estonia). The musicians, younger than Mr.Kremer, not children, are exquisite players. They are “together” in every sense of the word, creating a strong and flexible sound that suits the most lyrical and the harshest music their program asked of them. It was a stunning performance of challenging music, new to this listener and, it appeared, to most of the audience. In addition to championing musicians from the Baltics, Mr. Kremer is the champion of music by modern composers like Britten and Shostakovich, and less well known Eastern European composers such as Mieczyslaw (Moisey) Weinberg. They performed Violin Sonata Op.134, by Shostakovich; Variations on a Theme of Frank Bridge, Op.10, by Britten; Symphony #10, by Weinberg; Concertino for Violin and Strings, Op. 42, by Weinberg. This was an opportunity for Britten’s music to be the light-hearted item on a program. It introduces a theme and proceeds through ten variations such as March, Wiener Walzer, Moto perpetuo. Thoroughly interesting and enjoyable, it was a tribute by Britten to the gifts of his teacher as he demonstrates his own. Shostakovich’s Violin Sonata seems to have been composed by the composer reaching into his chest and pulling on the arteries of his heart. It was composed for David Oistrakh. Mr. Kremer’s performance contained all the emotion of the music as well as exquisite technical achievement. The piece was composed in 1968, the year that the USSR sent tanks into the Prague Spring. Shostakovich knew well the surprise that could come at night like the crack of the bow on the cello. He knew the horror that cartoon ghouls, unaware of being self-satires, could wreak. He knew there was a mysterious beauty that sounds like stars coming out at night. The strings pluck; the terror is understated. The music sighs and wonders. It was a great piece by a great composer played with great soul. Shostakovich considered Weinberg a great composer and friend; Weinberg said that meeting Shostakovich, “was as if I had been born anew.” The Concertino, written in 1948, was not performed in that time. It has a sound of evanescence which wafts a lovely, but sometimes painful sensibility. The final movement sounds a warning in the midst of a waltz. Weinberg’s Symphony #10 expanded our introduction to this complex composer. It opens with a festive, delicate sound. There is interplay between the violins and deeper strings, a conversation trading dancing rhythms. The music evokes a feeling of anxiety and then replaces it with gliding lyricism. One hopes to hear more of this composer. POST SCRIPT: Weinberg’s 10th Symphony was added to the program to replace Shostakovich’s Anti-Formalist Gallery which was to be sung in Russian by Alexei Mochalov. Mr. Mochalov’s wife died suddenly, and he could not appear. The satirical, musical play, printed in the program, reflects Shostakovich’s bitter awareness of the bureaucrats allowed to play fatal games with the lives of artists and their work. The Musical Functionaries: “Yes, yes, yes, yes,/Inside, inside,/To labor camps we’ll send them all!” It was fair to choose another Weinberg piece for fill in for Shostakovich. Weinberg’s life had all too many interactions with the hounds of the state. Born in Poland, he was chosen to study piano in the US. When World War II broke out, getting to the US was not easy. He went to the USSR. His father-in-law was murdered by Stalin the year the Concertino was written. Weinberg was arrested, in 1953, charged with “Jewish bourgeois nationalism.” This was the year that Stalin murdered doctors allegedly for plotting against his state. Weinberg’s one bit of luck: he was imprisoned and would have been killed if it had not been for Shostakovich’s intervention. The composer had that good fortune that he was to be killed at a time when Shostakovich was in the thugs’ good graces. For such an extraordinary soloist, Mr. Kremer has done much to widen the world of music. In addition to Kremerata, he has founded and directed music festivals in Lockenhaus, Austria, Gstaad and Basel, Switzerland, and Munich. Look for his recordings: The Berlin Recital with Martha Argerich, EMI; Mozart’s Violin Concertos with the Kremerata, on Nonesuch. This entry was posted in Hedgehog Highlights and tagged Benjamin Britten, David Oistrakh, Gidon Kremer, Kremerata Baltica, Mieczyslaw Weinberg, San Francisco Symphony, Shostakovich, Variations on a Theme of Frank Bridge, Violin Sonata Op.134 by Shostakovich, violins on February 10, 2014 by Leslie.